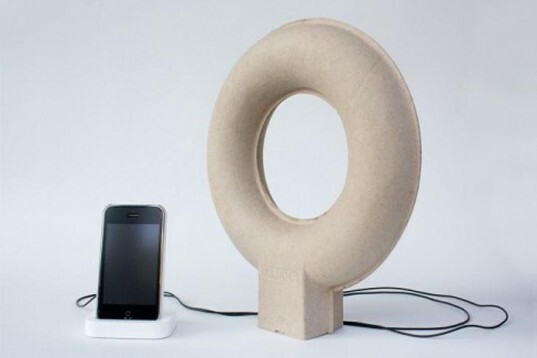 Balance studio designed Pulpop – a sculptural doughnut-shaped speaker made from recycled paper pulp that blasts your mp3 player’s tunes straight from your desk. Remember that cool Paper Pulp Alarm Clock and clever Trash Me lamp? Well, the Taipei designers demonstrate that recycled paper is still a great material for handcrafted eco-designs. Although sound doesn’t travel well through paper, Balance’s Wu and Chin Wang made the unusual speakers to sparse the sound in a smooth way. The hollow loop shape is said to create enough surface area to dispense the sound effectively and easy, using the recycled paper’s quality as a filter. Recycled, recyclable and rough, Pulpop makes garbage vibrate with your favorite tunes! Balance studio designed Pulpop - a sculptural doughnut-shaped speaker made from recycled paper pulp that blasts your mp3 player's tunes straight from your desk. 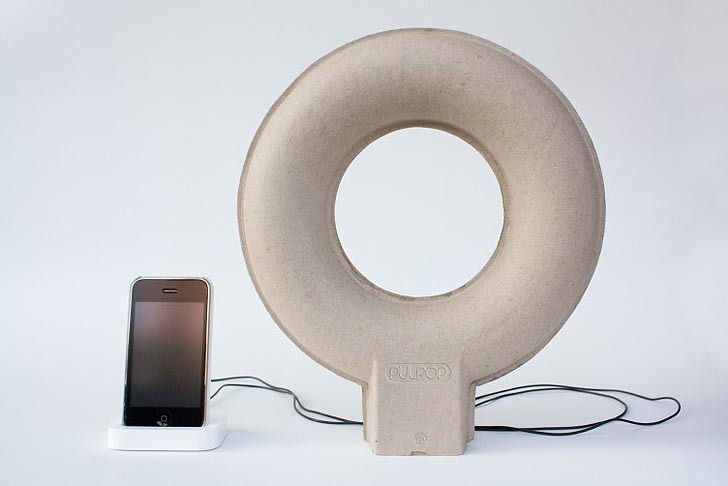 Remember that cool Paper Pulp Alarm Clock and clever Trash Me lamp? Well, the Taipei designers demonstrate that recycled paper is still a great material for handcrafted eco-designs.